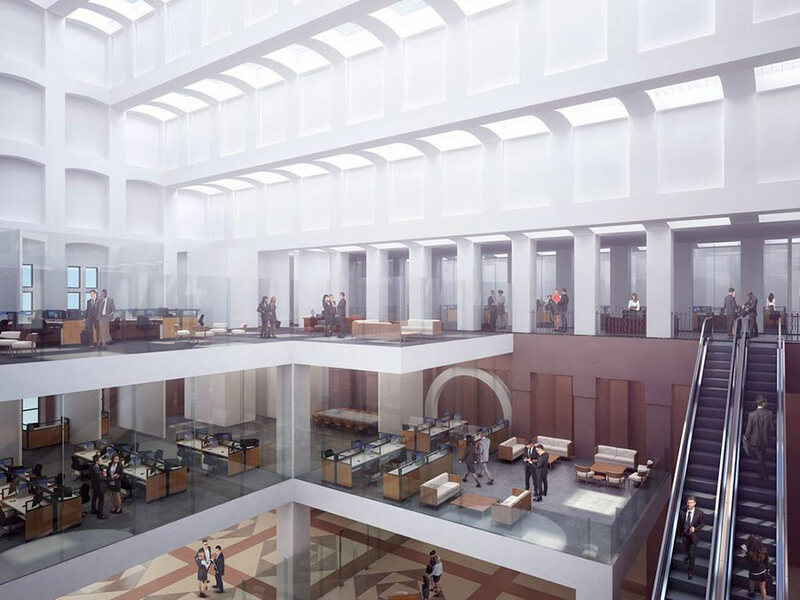 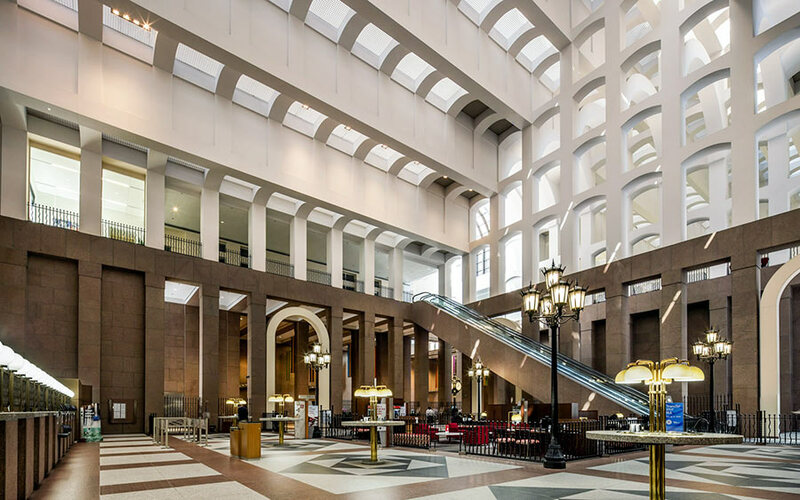 M-M Properties has hired New York’s Sydness Architects to carry out the $15 million renovation, which includes the partial excavation of the Western Union building, a structure that was ensconced by the Johnson-Burgee tower. 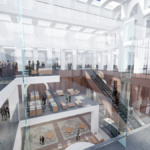 Phase one calls for replacing the building’s first-floor granite facade with glass, to showcase a restaurant and offices, and phase two will add two stories for business tenants above that. 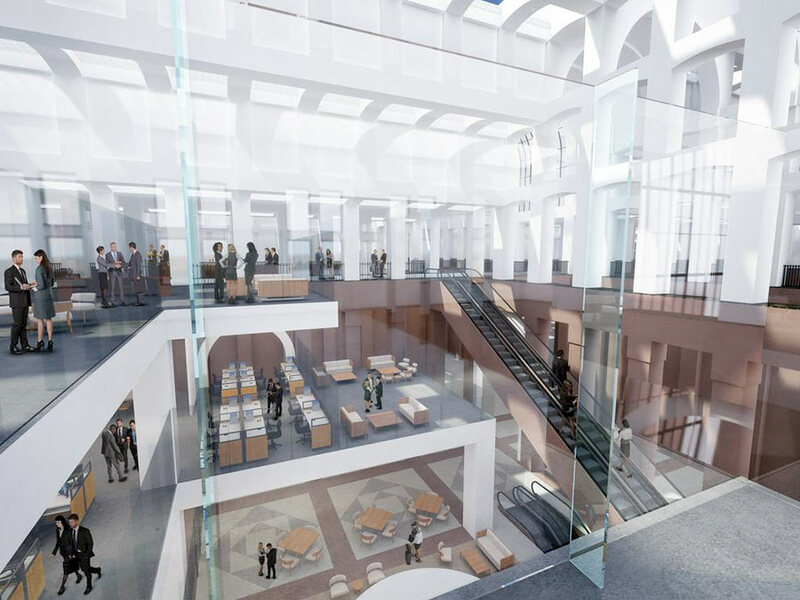 The resulting mezzanines would add approximately 30,000 square feet of new floor space, and ground is expected to break on the first phase in February or March. 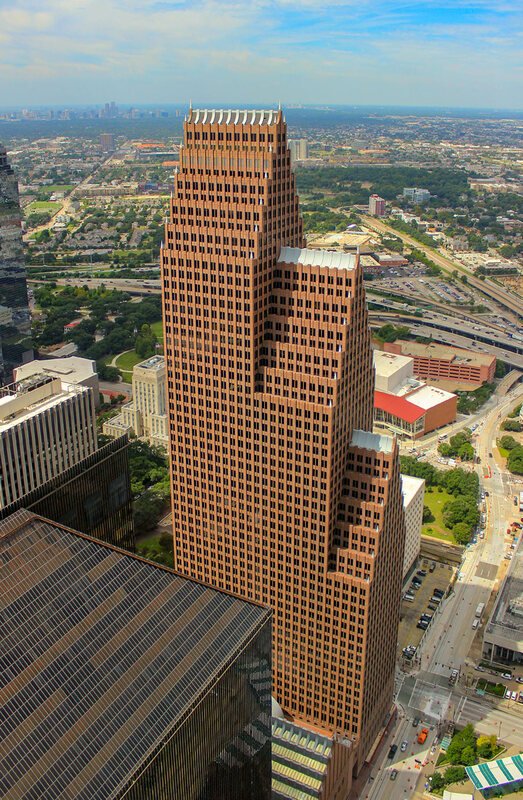 “It will be a lot more friendly as a building on the streetscape than it has been,” Sydness told the Houston Chronicle. 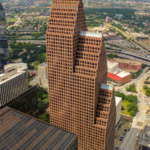 Interestingly, Sydness had also worked with the architects on the original tower, then known as the RepublicBank Center. 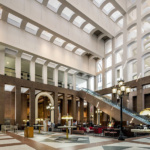 The structure was built in 1983, and since then, it’s had four anchor tenants: The RepublicBank Center was the first, followed by NCNB Center, then NationsBank Center, and finally current tenant Bank of America. 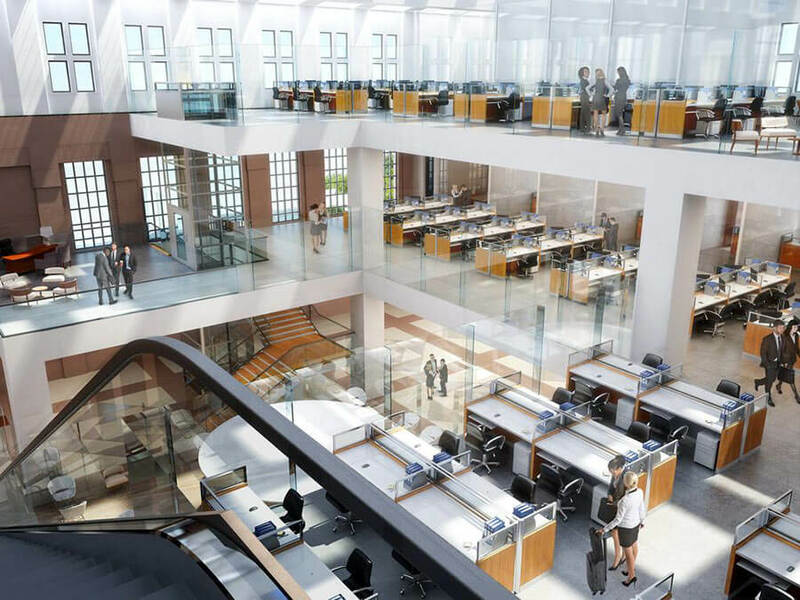 The firm, however, plans to move out of its digs in 2019. 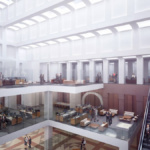 The building’s design, said local real estate blog Swamplot, is a nod to the 16th-century Dutch guildhall, and it sits across from Pennzoil Place, another Johnson building.